Captain turned in great giant slalom season and helped team to Class B state title. READFIELD — Katie Ide learned something from an unlikely source this winter: Herself. A junior at Maranacook, Ide made a seamless transition to giant slalom success this season. 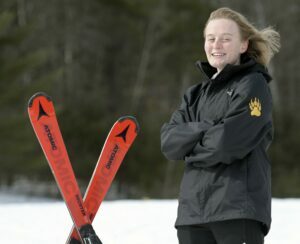 She finished third in the Kennebec Valley Athletic Conference meet in the event and then took a step forward in the Class B state meet, where she finished third in the giant slalom for a Black Bear team that won the team state title. For her efforts, Ide is the Kennebec Journal Girls Alpine Skier of the Year for a second straight season. And that’s where Ide’s biggest improvement might have come, too. As a first-time captain, she said she learned some important things about the group dynamic that helped her own individual performance. She worried less about the racing component and more about the act of skiing. It’s not always easy to train for giant slalom in high school. Most team training facilities are on glorified hills, not on mountains where more space and distance is needed to try a true giant slalom run. Kents Hill’s skiing facility, for example, is where Maranacook trains. Though slalom in viewed as the more highly technical of the two downhill disciplines, that work in practice helped Ide’s giant slalom efforts. But no matter what Ide did, or how she improved or where she finished in a particular meet, there’s only reason she feels like the winter was a complete success. 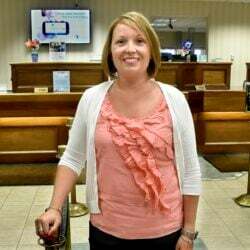 And it has nothing to do with her, beyond her pride in being a Black Bear captain and playing a role in how the season ended.